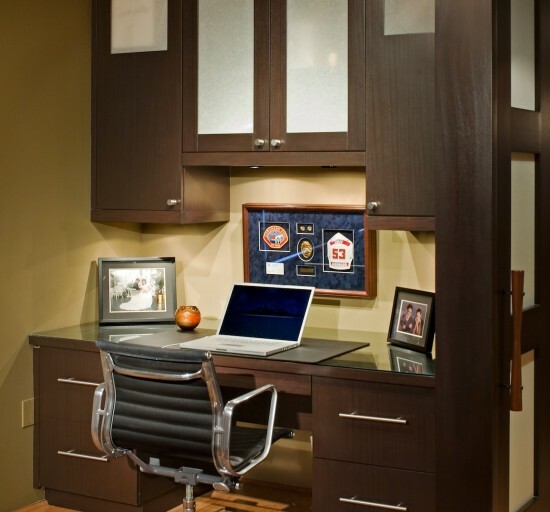 This personal home office design for one is comfortably tucked away in a master bedroom niche. Jim Walters designed tailored cabinetry that combines richly stained sapele wood with frosted glass. "They ended up with a new look in their home - and a new lifestyle too." © J.P. Walters Design. All rights reserved.